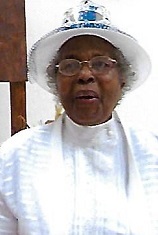 Ms. Olivia Hines McLean age 88, of 1028 Stampered Road, Fayetteville, NC departed this life Tuesday, September 11, 2018. Funeral services will be held Thursday, September 20th at 11:00 AM in the Wiseman Mortuary Chapel. She leaves to cherish her loving memories; son, Bradley McLean; daughters, Betty Lesie and Corine Brown; two sisters; a host of grandchildren; and a host great grandchildren and other relatives and friends. There will be a viewing Thursday, September 20th from 9:00 AM to 11:00 AM at the funeral home.